Don't feel like paying an extra $0.99 to get the ringtone version of a song you've already bought? Then you're in good company since many Apple iPhone owners feel the same way. Luckily, a simple "hack" solves the problem: just change the file extension. 1. Rename any AAC file to have the extension "M4R", which is the extension for a ringtone. Then double-click it to add it to iTunes. 2. 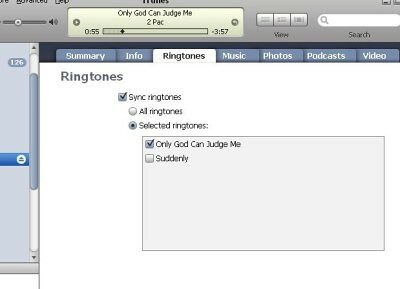 Navigate to the ringtone section of your iPhone in iTunes, and you should see your new ringtone listed. 4. That's it, according to Cleverboy.